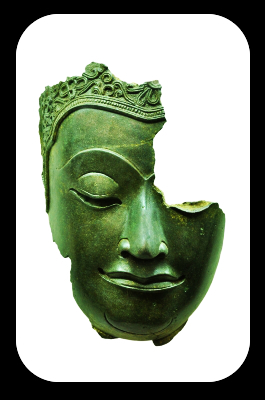 § 5 Responses to What The Buddha Said … Or Did He? Thanks very much for your kind comments. I’m glad that you find my FBQ blog useful, and I appreciate your support where it comes to people being annoyed at me for pointing out that some of the quotes attributed to the Buddha didn’t originate with him. It’s a funny business! I’d overlooked that I don’t make it clear on the blog who I am, which is rather embarrassing in a blog about attributions! I’ve added a brief bio on the “About” page. The situation arose because the FBQ posts used to be on my personal blog, and I moved them to their own site a couple of months back. In the rush to get the new site set up I overlooked to say much about myself. So thanks for pointing that out! Of course 🙂 Your blog is so informative. I suppose there may be a certain defense mechanism involved in some readers’ responses to your blog. One of my friends said once something to the effect of that if what you’re doing is causing a stir, then you know you’ve hit the right nerve. I’m looking forward to your future posts. Thank you for taking a look at this blog and commenting, and it’s very nice to ‘meet’ you! Wonderful! And thanks so much for pointing out Bodhipaksa’s blog — I’ll add it to my blogroll.. This is a subject dear to my heart in part, I think, because in reading the suttas the only spots where I find the Buddha to be showing anything like “temper” are around (1) noisy crowds of monks (I, too, prefer quiet) and (2) when someone misrepresents what he says. What he says is important, and he is very careful in his choice and use of words. Thanks for sharing, Miyo! A noble effort on Bodhipaksa’s part. Although this kind of misattribution is no doubt aided by our modern communication technology, who’s to say it didn’t go on in Gotama’s time as well? While it’s useful to weed out statements that Gotama is not recorded as having made, it’s also important to remember that the Pali texts themselves are not a reliable record of “what the Buddha said.” Like everything else, the teachings are ultimately empty and unfindable. If we are to locate their authority, we have to find it in our own hearts and minds. Yes, these are very real questions, and I do go into them on the site. Even in the Buddha’s day he was misquoted, and as Linda points out it’s one of the few things that seems to have really pissed him off. We know also that some of the Pali canon was distorted as a result of factionalism in the Sangha, and I’m sure that some of the verses in texts like the Dhammapada were sayings that were in circulation and happened to be attributed to the Buddha. What I’ve mostly been able to do is find the actual sources of these fake quotes. If I can establish that a suspect “Buddha Quote” is not only contrary to the general tone of the Buddha’s teachings, employs language and idioms that are foreign to the scriptures, but also that the saying actually by another author, then we can be confident in saying that it’s fake. 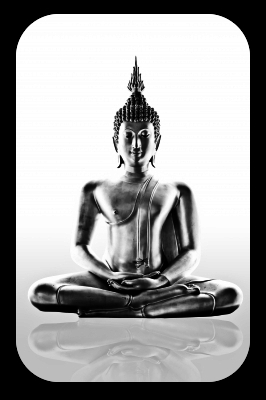 You are currently reading What The Buddha Said … Or Did He? at One Step At A Time.